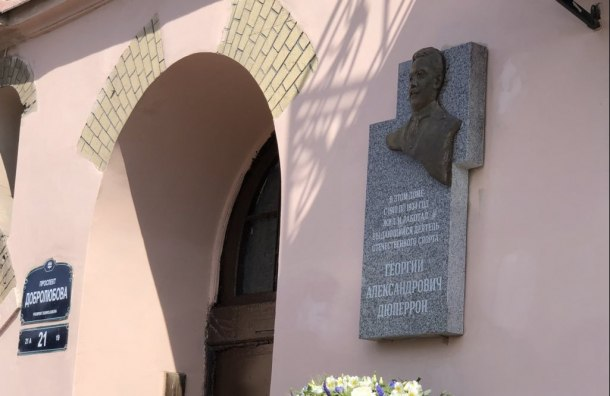 Memorable plaque to George Duperronu, the founder of Russian football and the Olympic movement, was opened today on the facade of house No. 21 on Dobrolyubov Avenue. The ceremony was attended by the heads of the sports committee and the culture committee, and with them the head of the St. Petersburg Football Federation Anatoly Turchak and the head coach of Zenit-2 Konstantin Zyryanov. The initiator of the installation of the plaque on the house where Duperron lived and worked was Zenit. The memorial sign was made by the sculptor Sergey Ivanov.